Turkey is carrying out multidimensional defense projects, such as the Hisar air defense missiles, with the help of leading Turkish firms and foreign companies by utilizing domestic resources, pro-government Daily Sabah reported. The report follows ongoing warnings from the United States that Turkey’s purchase of 100 Lockheed Martin F-35 fighter jets would be jeopardized if Ankara does not stop plans to buy S-400 missile defense systems from Russia, which Turkey is purchasing to meet its short-term long-range air and missile defense needs. The plans for mass production of defense platforms are drawn up to include subcontractors and small and medium-sized enterprises (SMEs) mobilizing leading Turkish defense firms like ASELSAN and ROKETSAN, the daily said. The most important strategic goal of air defense is to accomplish projects that will serve Turkey's multi-layered air defense by mobilizing domestic competence and capabilities. Turkish firms will be using globally acknowledged methods for the development and production of air defense systems by participating in working groups with NATO along with defense industry cooperation between countries, it said. 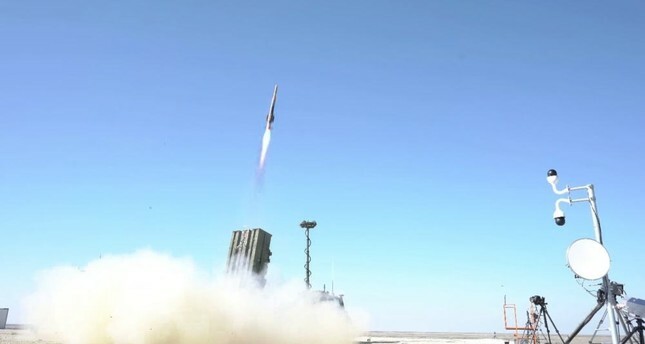 The daily reported that test shots of the Hisar air defense missiles, which were developed by ASELSAN and ROKETSAN under the coordination of the Undersecretariat for Defense Industries (SSM), were successfully carried out, noting that the Hisar-A and Hisar-O are expected to be in service by 2020 and 2021, respectively. Meanwhile, Daily Sabah said, ‘’the Korkut system, which began to be delivered to the Land Forces Command, will also be used to protect battleships against missiles,’’ adding that tests conducted with the system revealed that Korkut-D could be used to protect ships from missiles.